In that span of time, it became the most retweeted tweet of all time. In that span of time, the note-image combo was retweeted — as of this writing — 298,318 times. We’re not waiting for the others to concede. Barack Obama is the clear Twitter winner. 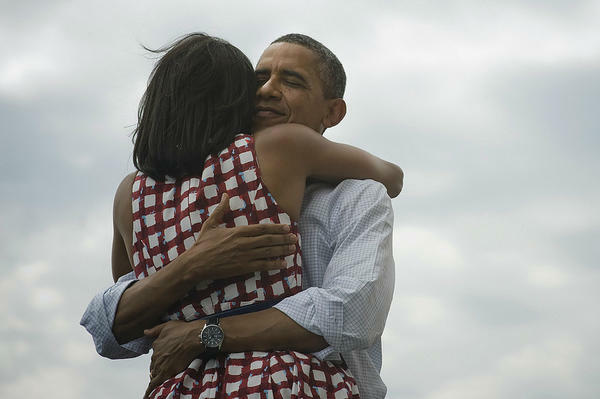 Obviously, this is the victory the president will be savoring most tonight. In US, Hispanics represent about 9% or 10% of the electorate, but in key states can make up 12% to 16% of voters, and as much as 35% of the voting population. And, what’s surprisingly, they’re not as interested in the immigration issue as politicians appear to believe they are. Eighty-four percent of registered Latino voters go to the polls and vote, said Chiqui Cartagena, VP corporate marketing at Univision Communications. She said that 34% of Latinos are under 18 and that every year 500,000 Latinos turn 18, offering both parties an opportunity to woo young voters. Ms. Cartagena said that 40% of new registered voters in 2008 were Latinos. Among all Latino voters, about 16% can be considered swing voters. Those Latino swing voters are likely to be important in the 2012 presidential election. Mr. Mellman cited five states — Florida, New Mexico, Arizona, Colorado and Nevada — that will play a central role and have substantial Latino populations. Other very divided states like Virginia and North Carolina have smaller numbers of Latinos, but “every vote will count,” he said. In 2008, the Obama campaign spent about $25 million on Spanish-language media and the McCain campaign spent about $5 million. Lionel Sosa, a long-time Republican political consultant who currently works for Newt Gingrich, said he doesn’t see that changing. Even politics went to Facebook. Who’s next ? War or not, everybody needs PR. Today, according to PR Week, we found out that Muammar Gaddafi’s regime had plans to embark on an anti-Nato PR campaign in Britain. The Daily Telegraph reported over the weekend that documents found in the Libya’s Prime Minister Baghdadi al-Mahmoudi’s abandoned office detailed the creation of a £8.8m fund to pay British and foreign campaigners to change the public perception of Nato’s intervention in the country. 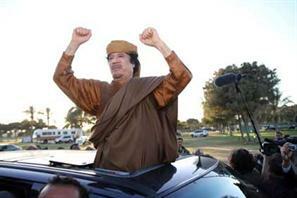 The discover of the plans comes weeks after an email was sent to a host of London PR agencies by Libya’s Ministry of Information asking for PR support to improve the image of Gaddafi. The paper wrote that the documents included plans to pay selected foreigners, the regime thought would be ‘sympathetic to Gaddafi’, up to £2m to lobby on his behalf. Among the British officials named in the documents was a lobbyist who the Gaddafi government was planning to pay £200,000 a week, up to a total of £2m, to create an anti-war think tank called the Centre of Non-Intervention. The paper reported that the lobbyist’s remit included releasing reports and studies, hosting lectures and conferences with ‘well-known British political thinkers’ and achieving the end goal – to ‘reject foreign intervention in Libya and around the world’. Porter Novelli EMEA head of corporate Alex Woolfall said any agency attracted by this offer would ‘have taken leave of its senses’ and that now, more than ever, PR agencies are under ‘as much scrutiny as the clients they represent – they have their own reputations to think about’. Insignia Communications founder Jonathan Hemus agred: ‘When deciding with whom they would work, agencies draw the line at different places – and in some cases the lure of a large budget can move the line. But PR for the Gadaffi regime is way over the line for any agency I can think of. The Gaddafi regime also reportedly planned to ask Labour peer Lord Ahmed, who has campaigned for peace in Libya, to join the campaign. Lord Ahmed told the paper he had not been approached. The Telegraph said the regime set aside an overall budget of £8.8m for the political and public relations campaign.